India is home to one-third of the world’s malnourished children. Malnutrition remains a silent crisis among urban low income communities. Government programmes that address this issue face challenges in quality of service delivery and implementation. Many target beneficiaries are also unaware of how to avail these government services. How can we equip communities to prevent malnutrition and increase quality of public health services to tackle child malnutrition? We believe that strong engagement with both communities and public health systems can lead to improved health-seeking behavior and higher quality services. Our flagship nutrition programme, Aahar, works to prevent and treat malnutrition in children less than 3 years of age. We partner with the Integrated Child Development Services (ICDS), a government welfare scheme that provides health and nutrition services. Our work covers 150 anganwadis (child care centres) across vulnerable settlements in Dharavi and Wadala. In our commitment to building a strong volunteer-driven culture, we work on forming Community Action Groups and a cadre of community residents who will hold anganwadis accountable for service delivery. We conduct public awareness activities to improve uptake of ICDS services, while promoting good health practices. We focus on training and building capacity of anganwadi sevikas (government-employed community health workers who deliver ICDS services) to improve nutrition service delivery in our intervention areas. We implemented the first phase of the Aahar programme in Dharavi between 2012-2015. The programme directly served 37,480 children and pregnant women across 110,468 households. 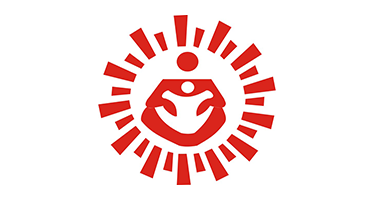 It was the largest urban Community-based Management of Acute Malnutrition (CMAM) programme in India. We focused on early screening, treatment and home-based care for both children and pregnant women. The project achieved a 23% net reduction in wasting levels. We also observed a significant increase in the coverage of government services in Dharavi, headlined by a 109% increase in ICDS services received by children. We have learned that it can be difficult for households in our communities to take large amounts of information on health and nutrition at once. Our Community Organisers employ innovative methods to make learning easier and improve comprehension. When a SNEHA Community Organiser (CO) visited the home of Suman Yadav*, a 23-year old mother, she found that Suman’s 4-year-old son was underweight. After speaking with Suman, the CO realized that Suman wasn’t familiar with best practices in child nutrition as well as the possible repercussions of poor nutrition. Using flash cards, SNEHA’s CO and the anganwadi sevika (government-employed child care centre worker) emphasized the importance of providing nutritious, home-cooked food to the child and restricting packaged snacks. The flash cards made complex information simpler to understand and more engaging, helping Suman remember nutrition guidelines more easily. Suman was happy to see that her new feeding program had resulted in a gain of more than 1.5 kilograms in 2 months. with other organizations in child health and nutrition. We are collaborating with SETCO Foundation (the CSR wing of SETCO Group of Companies) to improve maternal and child health and nutrition across 18 anganwadis (child care centres) in Panchmahal district, Gujarat. 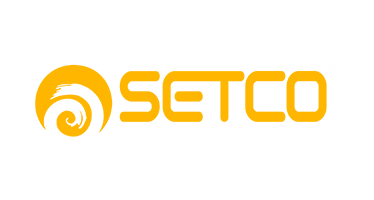 We support SETCO in developing protocols, monitoring and evaluation frameworks, and communication materials. We aim to build capacity of SETCO’s core and field teams, and support them in building partnerships with communities and other health institutions.